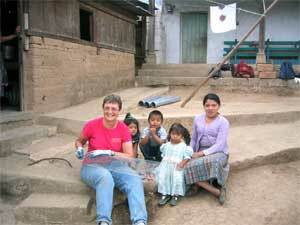 In April 2005 the first Duffy Hughes Memorial Stove Team departed for Guatemala along with the Cascade Medical Team. Our goal was to replace as many “three stone fires” as possible with newly designed, energy efficient Onil interior cooking stoves and Nixtamal outdoor stoves. 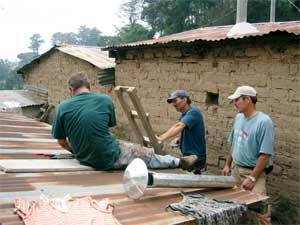 The Guatemala stove project had raised money through Rotary Matching Grants and the ten team members were anxious to see how it all worked and install a few stoves. 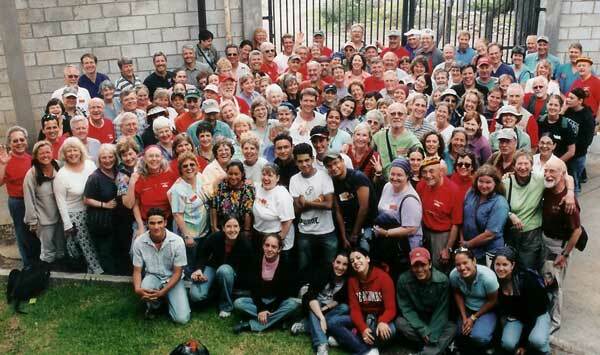 For many, it was the first time in Guatemala and for some, the first time they had worked on a “mission project” and stayed in other than a five star hotel. 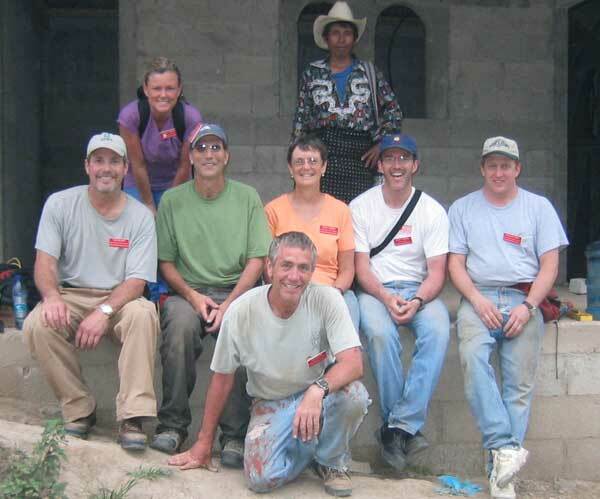 We worked in conjunction with HELPS International who had helped develop the stove and who had a twenty-year history of bringing medical groups, construction teams, and educational programs to Guatemala . 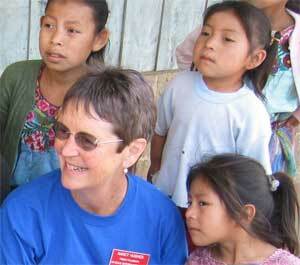 Helps provided us with housing arrangements, transportation, interpreters, and equipment. We couldn’t have designed a better program ourselves. The two stoves we distributed were designed by Don O’Neal and are made in Guatemala at two factories supported by The Shell Foundation, employing indigenous Guatemalans. One makes the metal parts (plancha, chimney, and some interior pieces) and the other makes cast concrete pieces and the combustion chamber. 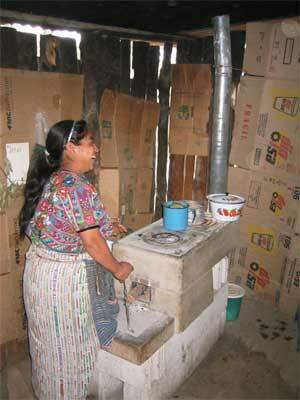 Within three days we arrived ready to install the stoves. We had divided into groups of five (two experienced carpenters, two helpers, and one with some Spanish skills). We were equipped with back-packs filled with water bottles, spare stove parts, drills, stove wire, gloves, Band-Aids, etc), and we left our central housing area and met a member of the local Women’s Cooperative in the village. With the assistance of one member of the Mayor’s Office and one guide from the Women’s Cooperative, we began installation. 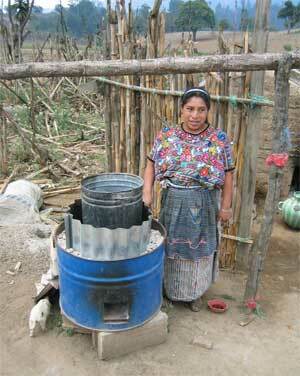 Two volunteers worked on the exterior Nixtamal stove designed for cooking the mixture of water and dried corn at high heat to make masa for tortillas. The ground was leveled, the half fifty-five gallon drum was placed on two cement blocks, and the combustion chamber was placed inside and surrounded by gravel and ash used as insulation to keep the stove from burning those who might lean against it. One volunteer found a ladder or other means of getting on the roof, drilled a hole and installed the chimney, caulked, and bolted the chimney cap on top. With the help of the interpreter, another volunteer worked inside placing cement blocks on a level surface and topping them with the cast concrete forms. 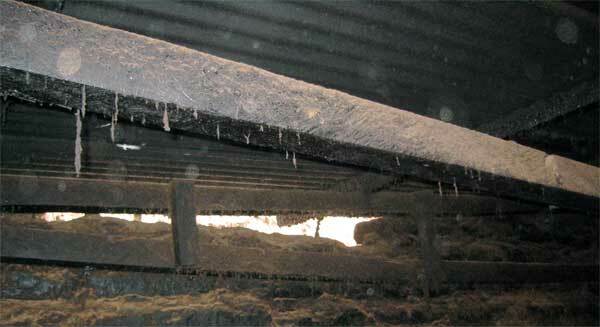 The combustion chamber was placed inside and was surrounded by gravel and ash to keep the stove exterior cool. The plancha, or cast iron cooktop, was placed on the top, a chimney protector was formed and installed, and the Onil stove was complete. The member of the Mayor’s Office and the head of the Women’s Cooperative assisted us and then spoke to the members of the household in their native language (there are 24 Mayan languages in Guatemala ) explaining cleaning and care. 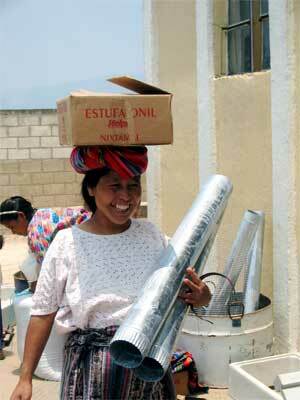 By the time we had finished installing over 200 stoves, the local people knew exactly how it was done. Upon returning to the USA	, the Rotary Matching Grant Final Report was filed with Rotary International and a second grant was written for more stoves. We had installed over 200 stoves, but within a week there had been orders for more, and the members of the Mayor’s Office and the Women’s Cooperative had installed them. With the cooperation of Rotary Clubs from both countries, the assistance of eager volunteers, and the help of the local Guatemalans, our project was a complete success. You can become involved with the Duffy Hughes Memorial Stove Project by either forming your own stove team, joining one of our teams, or by making a contribution through The Southtowne Rotary Foundation; PO Box 5158 ; Eugene , OR 97405	. Tomasa Morales Morales, Rosa Guarcas Chicoj, Nicolasa Morales Calel, Isabel Cortez, Marta Calel Morales, Luisa Morales Coterez, Candelaria Juracan Calel, Maria Morales Quino de Sipac, Juana Morales Tzoc, Tomasa Calel Calel, Catarina Mendez Calel, Tomasa Mendez Morales, Juana Locon Suj, Mjaria Margarita Matzar Sipac, Maria Concepcion Cumes Morales, Julia Morales Chumil, Felipa Calel . . .